Dubai: Petra Kvitova will be a crowd favourite when she bids for a second title at the Dubai Duty Free Tennis Championships, which begins on February 17. The 2013 champion has enjoyed a magnificent start to the season, recapturing the Sydney crown she first claimed in 2015 and then advancing all the way to the Australian Open final, coming within a set of ascending to the No. 1 ranking for the first time in her career. Although she failed to add another Grand Slam triumph to her two Wimbledon titles, her graciousness in defeat won the hearts. Although she was naturally disappointed to lose to Naomi Osaka in their thrilling three-set battle, she was able to reflect on it later and expressed her feelings to her many Facebook followers. 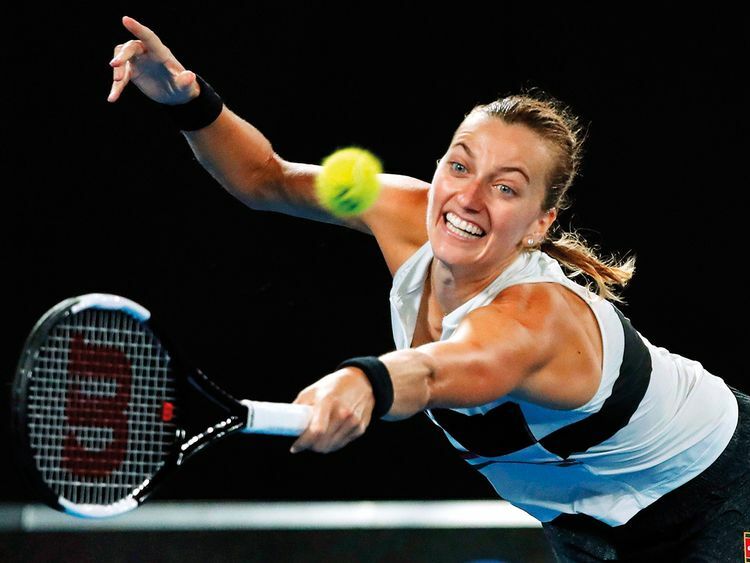 Kvitova was referring to her traumatic experience in 2016, when a home intruder attacked her with a knife and she suffered career-threatening injuries to her left playing hand as she tried to defend herself. She hit a new high in 2018 by winning an amazing five titles, something she hadn’t done since 2011. She retained her Birmingham crown and also won in St. Petersburg, Doha, Prague and Madrid and that set her up nicely to continue what at one time had seemed to be an unlikely comeback towards the very summit of the game. Kvitova could face Osaka again in Dubai as she tackles a field that includes eight other members of the world’s top 10, including not only No. 1, Australian Open and US Open champion Osaka but the other three 2018 Grand Slam winners, Caroline Wozniacki, Simona Halep and Angelique Kerber. They will compete along with two-time Dubai champion Elina Svitolina, 2019 Brisbane winner and Australian Open semi-finalist Karolina Pliskova and former Grand Slam champions Garbine Muguruza and Jelena Ostapenko. Tickets are available online at www.dubaidutyfreetennischampionships.com and from the Stadium Box Office. For further information about the tournament, please visit www.dubaidutyfreetennischampionships.com.